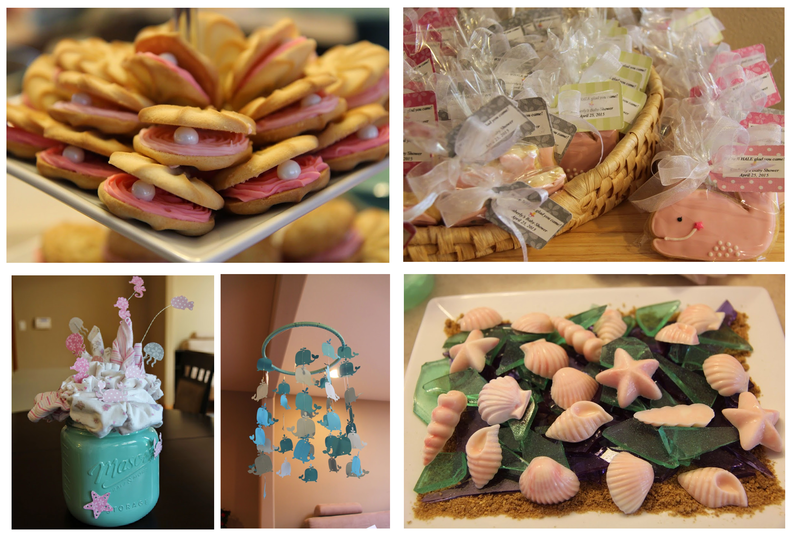 We threw a fantastic ocean-themed baby shower for my friend Kim recently– here’s a sneak peek! I actually had to miss the party since I caught the flu, but I am pleased with how everything turned out, and most of all with how happy it made Kim! 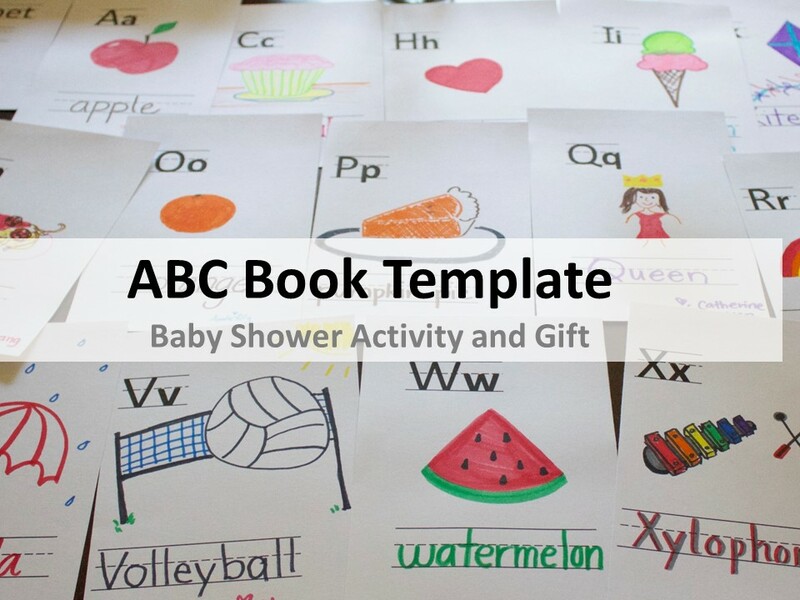 I’ll share more details on the shower soon, but I wanted to share a fun and flexible baby shower activity idea with you: Baby’s First Alphabet Book! I could see this working really well for an animal-themed shower, ocean-themed shower, bug-themed, monster-themed… ABC-themed (haha obviously), or just about anything you want. It doesn’t even have to go with a theme. 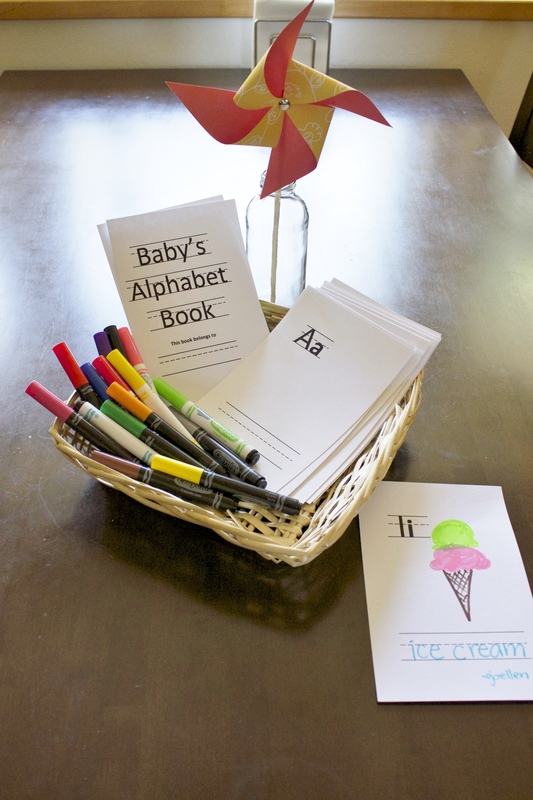 It’s just a fun way to get guests involved in creating something that Baby can treasure for years to come! Keep this handy for the next time you’re on the shower-planning team– I think the mom, baby, and family will love it! 1. 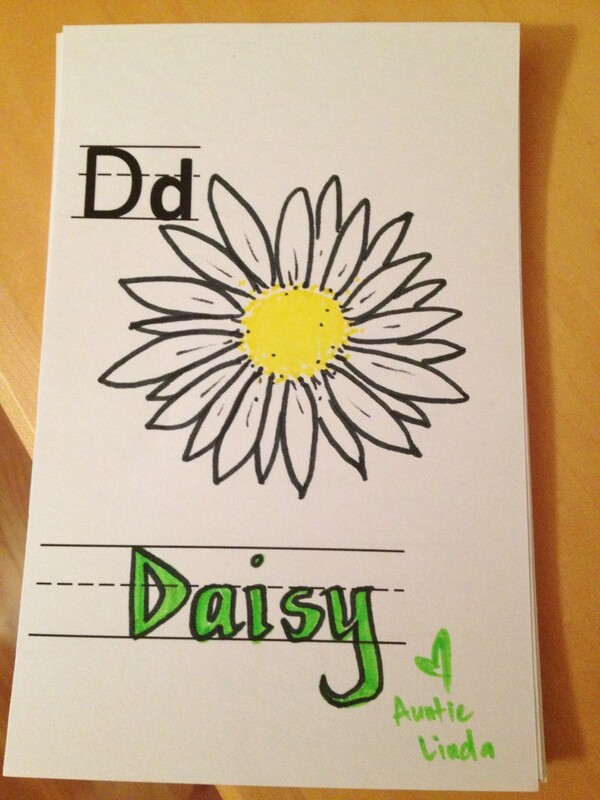 Print up template onto cardstock. 2. 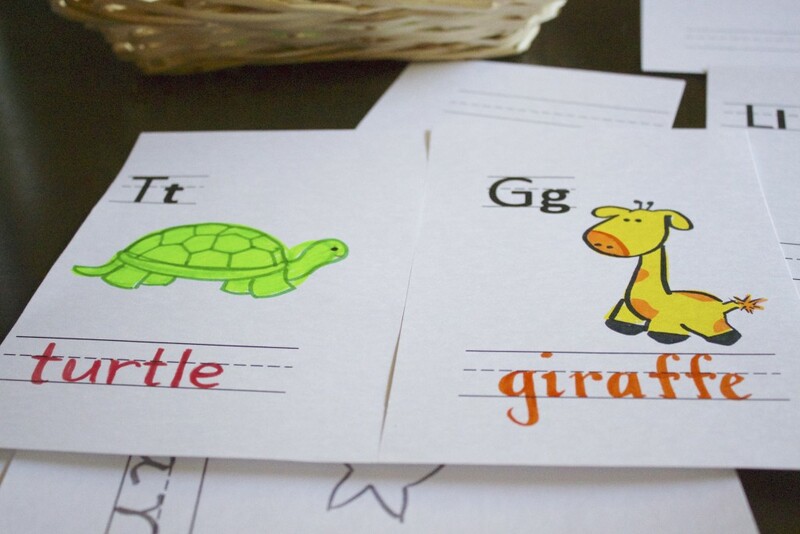 Cut each sheet of paper in half, and put in alphabetical order. 3. Lay out papers and markers on a table, with one of the pages finished as a sample for guests. 4. 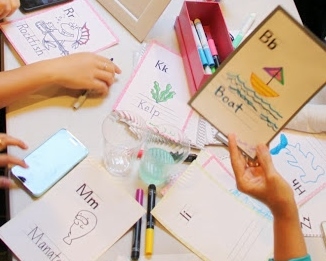 Allow guests to choose letters and draw pictures to go with it, writing the name of the object in the space at the bottom. 5. After the party, bind the pages together using binding rings or other binding mechanisms (teachers with access to binding machines = win). 6. Give it to the happy mother-to-be! Another option is to trim the pages into 4″x6″ sheets (it should barely fit) and place them into sleeves of a portrait 4″x6″ photo album. You can add in photos from the party at the end to fill up any extra space. That’s a nice option, thanks! Can you explain how I might change the size to a 4 x 6? If you trim it verrrry tightly, you should be able to make it so that each letter’s page is 4×6! Good luck. Great idea! 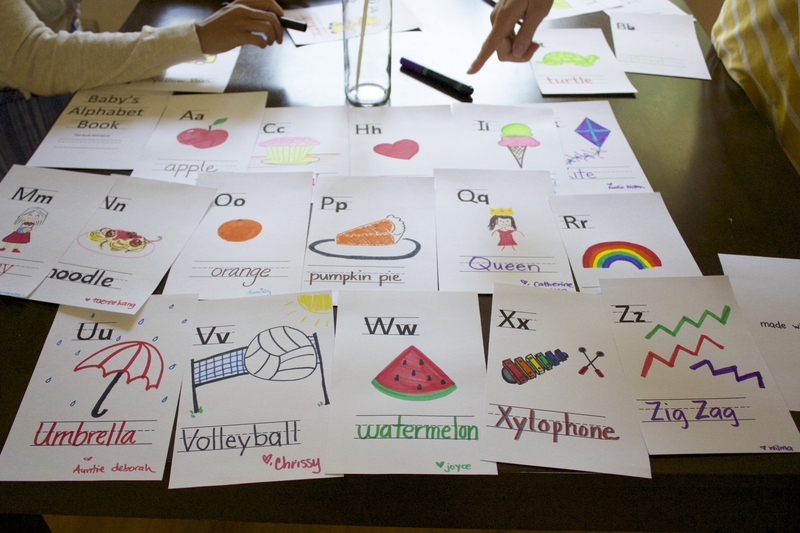 I especially like it as I am a Pre-K teacher and I want my granddaughter to appreciate the alphabet and books! Thank you so much for the free template!! I love this idea. I’m trying to live sustainable and plan my sister’s baby shower. Instead of playing a shower game where the paper gets recycled or thrown away after, we can now enjoy the activity for years to come! Yay! Thanks for sharing, and I hope you all have a great time at the shower, especially your sister! Thank you sooo much for the template!! its exactly what I was looking for! !